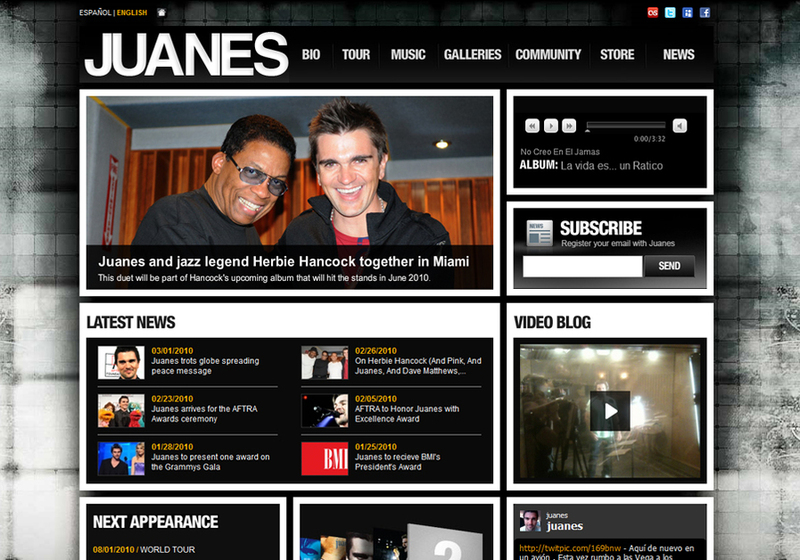 Development of the Official site for multiple Grammy winner Juanes. A combination of technologies were used to provide the artist with a platform where he could share and interact with his fans and at the same time provide his management team with a hub for press communications. To make things even more interesting we developed an iPhone application so the artist could record video from his phone and upload it to his site without any complications.